Roxanne Halpine Ward graduated from the MFA program at the University of North Carolina at Greensboro and is a past attendee of the Bucknell Seminar for Younger Poets. Her poetry has appeared in the Greensboro Review, Hawai'i Pacific Review, and Zoland, among others, and her chapbook, This Electric Glow, is available from Seven Kitchens Press. Roxanne is an editor with 13+ years of experience working with different types of prose, as well as an avid reader and book reviewer. She lives and works near Philadelphia. Roxanne is also a registered yoga teacher - to learn more, visit her yoga website at http://roxdoesyoga.com. July 2018: My poem "The Medical Editor on Art" appears in Georgia Review. Fall 2017: My poem “The Medical Editor and the Lactation Room” appears in Bellevue Literary Review. April 2016: My poem "The Medical Editor Practices Selective Reading" appears in the Winter 2016 issue of The Sow's Ear Poetry Review. March 2015: My review of Karen Holmberg's poetry book Axis Mundi appears in the Spring/Summer issue of Poet Lore. December 2014: Constellations vol. 4, which includes one of my poems, is now available. 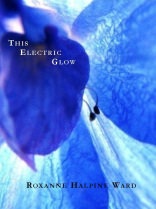 Roxanne's first poetry chapbook, This Electric Glow, is available from Seven Kitchens Press. This chapbook is volume 2:2 in the Seven Kitchens Press Editor's Series and co-winner of the 2011 Editor's Prize.